Beautiful peaceful scene. 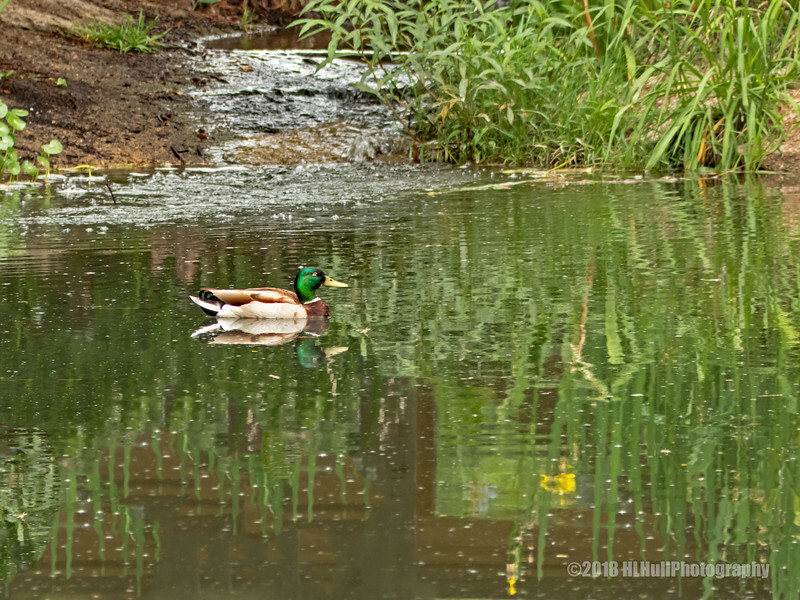 Nice to have the reflection of the blooms on the shore to balance the mallard and its reflection in the shot. I love reflections! The mallard duck seems to have the area all to itself!